AAIS 2019 Home | Registration | Submissions | Sessions & Round Tables | Program | Lodging | Wake Downtown | Photos of the Conference! The American Association for Italian Studies will be holding its next conference (14-16 March, 2019) at Wake Forest University, in Winston Salem, NC. 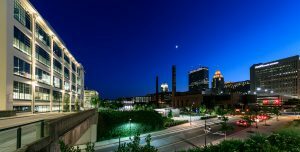 The conference will be held on the new campus Wake Downtown, conveniently located near hotels and restaurants in downtown Winston Salem. Special Guest: Igiaba Scego, Writer, Journalist & Fellow at the Venice Center For Humanities and Social Change.